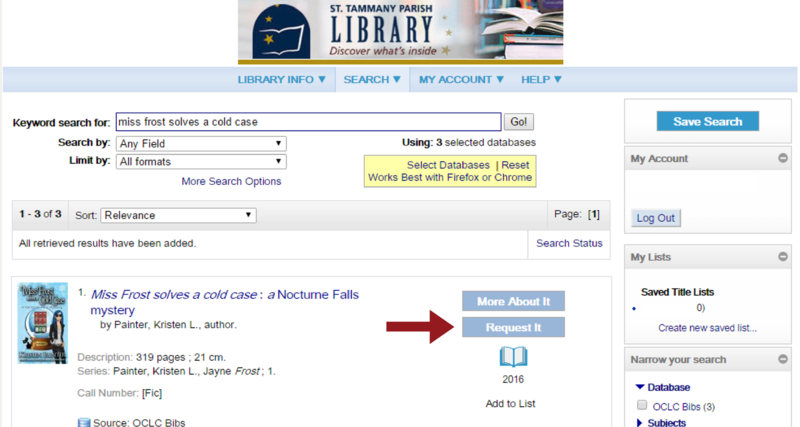 When the St. Tammany Parish Library doesn't own an item that you'd like to borrow, we can try to borrow it from another library system through InterLibrary Loan. For more information about InterLibrary Loan, view the policy. 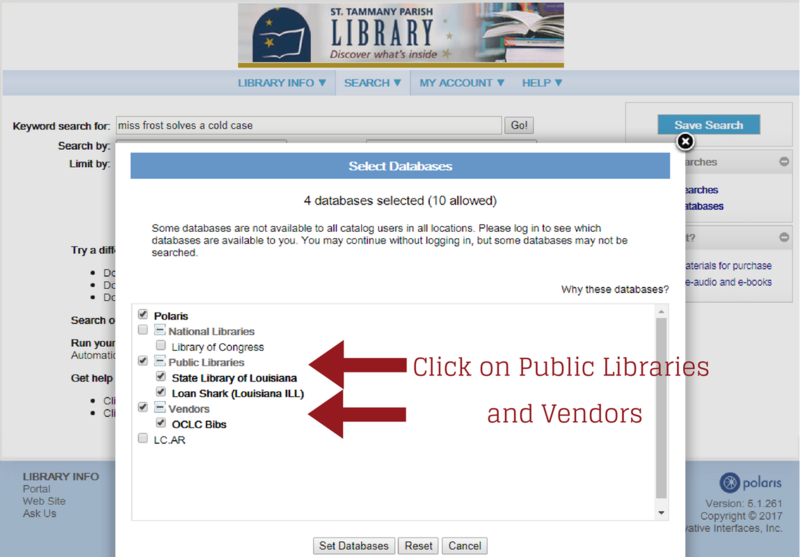 Visit the classic catalog and click on "Select Databases"
Click Continue to confirm that you want to place the InterLibrary Loan. Congratulations! 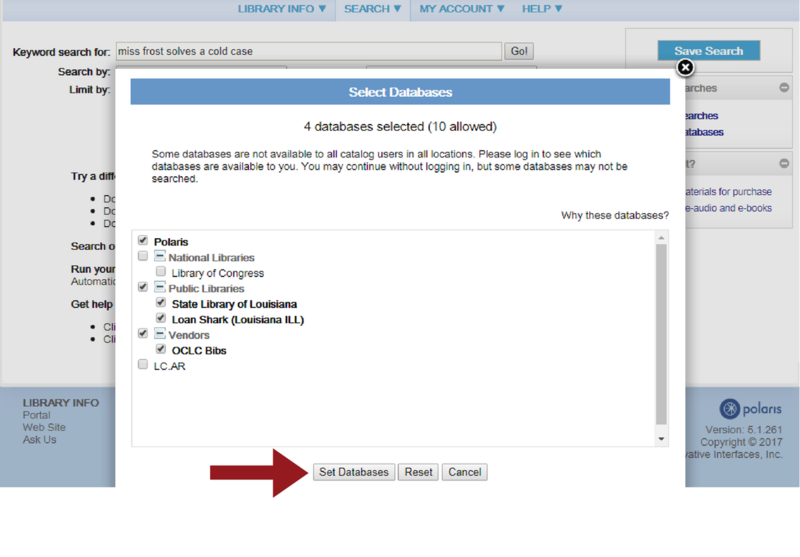 Your InterLibrary Loan request has been placed! 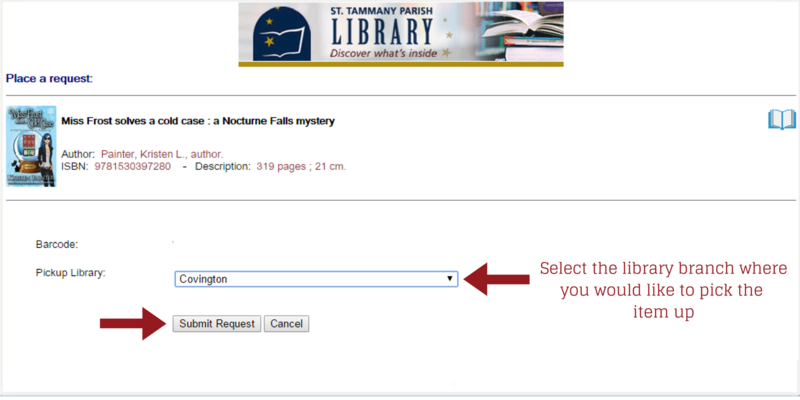 Can genealogy materials be borrowed through InterLibrary Loan? What is the late fee charged for an overdue InterLibrary loan?